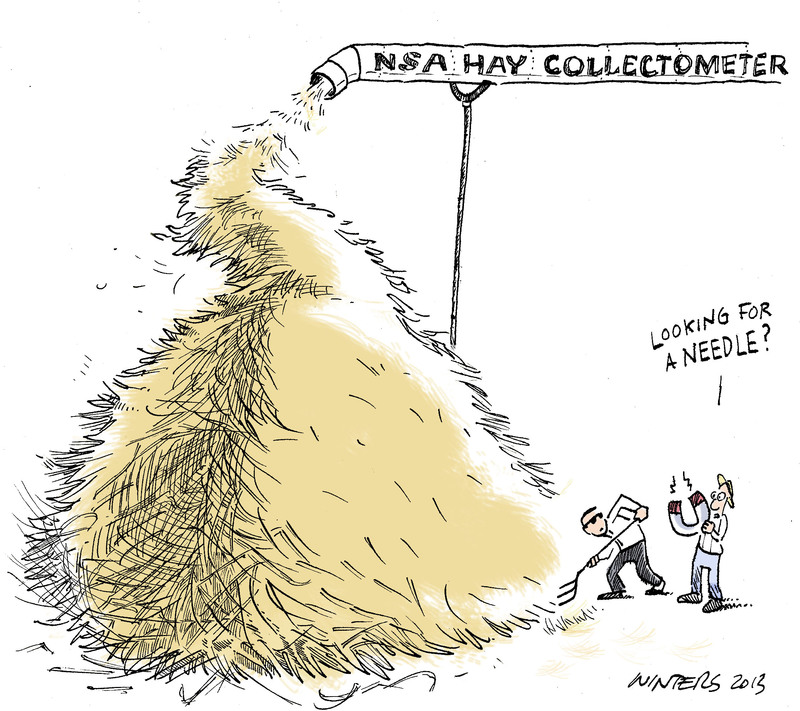 How big of a haystack do you need to hide? Every fact you learn about a person reduces the “entropy” of their identity. For e.g. If I know your gender, we can eliminate about 50% of the population: There were about 155.6 million females & 151.4 million males in the United States in 2009. If I know your birthday we can eliminate a much larger percentage of the population: At age 85 and older, there were more than twice as many women as men. People under 20 years of age made up over a quarter of the U.S. population (27.3%), and people age 65 and over made up one-eighth (12.8%) in 2009. Each of these facts independently narrow down the population, so much so that the combination of gender, ZIP code, birth date was unique for about 63% of the U.S. population. In the examples above, each starsign and birthday was assumed to be equally likely. The calculation can also be applied to facts which have non-uniform likelihoods. For instance, the likelihood that an unknown person’s ZIP code is 90210 (Beverley Hills, California) is different to the likelihood that their ZIP code would be 40203 (part of Louisville, Kentucky). As of 2007, there were 21,733 people living in the 90210 area, only 452 in 40203, and around 6.625 billion on the planet. How much entropy is needed to identify someone? S = ln (1/6625000000) = 32.6 bits of information. Conservatively, we can round that up to 33 bits. So for instance, if we know someone’s birthday, and we know their ZIP code is 40203, we have 8.51 + 23.81 = 32.32 bits; that’s almost, but perhaps not quite, enough to know who they are: there might be a couple of people who share those characteristics. Add in their gender, that’s 33.32 bits, and we can probably say exactly who the person is.